We've been a little sick here. David missed a few days of school. Kayla eventually got it too. I thought David was well enough to go to school on Monday, but he was sent home. 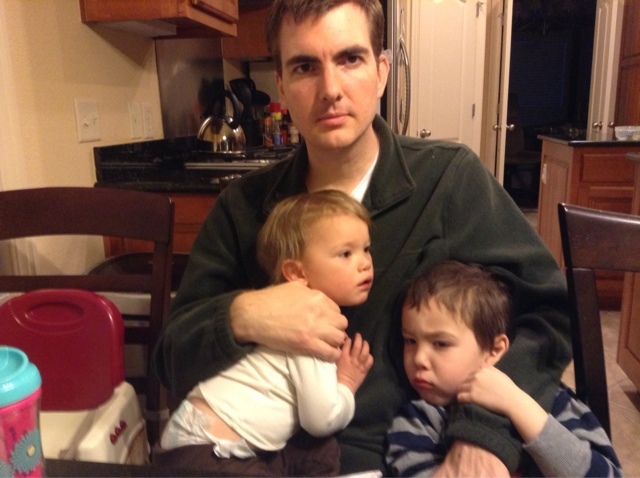 So, I took both kids to the doc and they had ear infections. 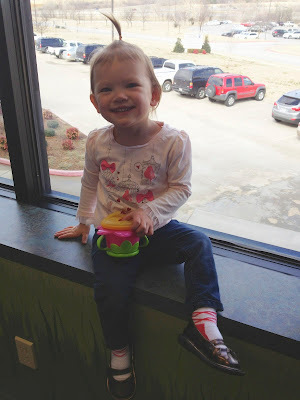 The last time Kayla had an ear infection was September which was also the last month that she was in daycare :) Thankfully, they both seem to be doing better now. 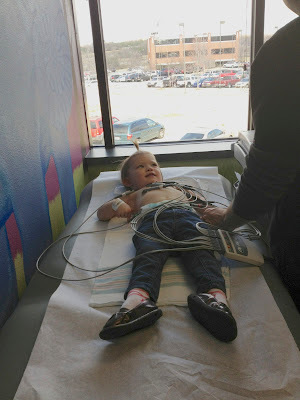 On Wednesday, Kayla had her cardiology appointment. I had been waiting for this one for a while. Now that Kayla is getting older, we know that she is about to have surgery soon and had several questions to ask. 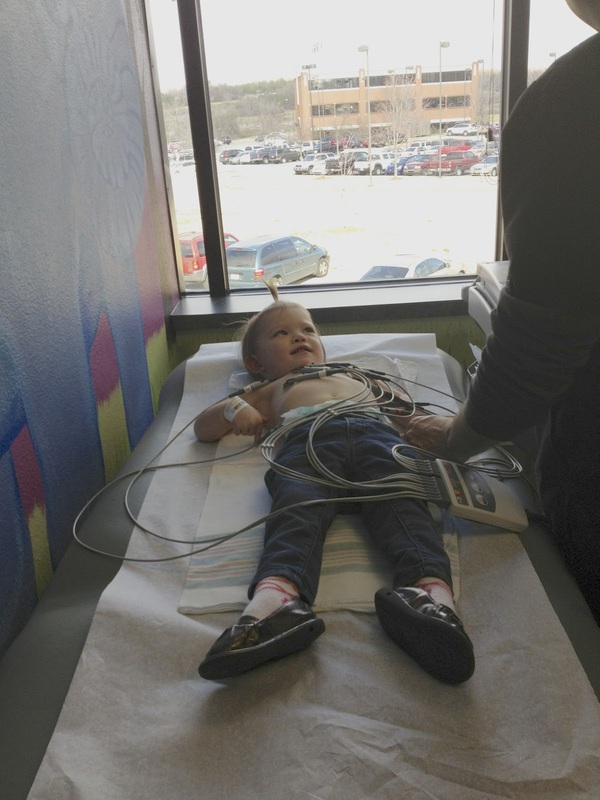 At this appointment she got an EKG. This procedure only lasts a few minutes. It takes longer to attach everything than it does to take the reading. Last time they found something and so the doctor explained that it was called Wolff–Parkinson–White syndrome. Click on that link to read more about it. It is not bothering her right now, so we don't worry about it too much. Our main questions were about the Fontan surgery that she will have to have. The doctor said she won't need it until she is probably 3 or 4. We will notice bigger changes in her such as taking more naps than usual. Lately, she has been trying to skip napping! At what number should we be concerned about her oxygen saturation? The doctor said 50s. There won't be a sudden change. It will most likely be a gradual change in her condition, so the trend is more important than a number on a certain day. Can we start potty training? I had read that some people wait to potty train before the Fontan. It's one more thing the child will be sad about while in the hospital. The doctor said we should go ahead if she is ready. There might be a set back after surgery, but it shouldn't be too bad. How long would she be out of preschool after the Fontan? 2 weeks from the time we go home. She can't be sick for 6 weeks before surgery. We are planning on putting her in the same school that David goes to in the fall. Last time, the doctor had said that Kayla would need to be 35 lbs before having the fontan. I was a little concerned about that weight because David is just now 35 lbs and he is 4. However, the doctor mentioned they just recently had to do the surgery on a 20 month baby, so it just depends on the situation. Is it okay to travel like on an airplane? He said that she may turn a little bluer than normal on a long plane ride, but she should be fine. Overall, Kayla is doing well. She gets tired faster. David loves to run around the house, but Kayla has a really hard time keeping up. She runs out of breath and has to say, "I'm tired now." Lately, I'm finding that facebook is a great resource. I recently joined the Tricuspid Atresia group and am always happy when I see a new member join that is in their 40s. It is a great place to ask questions from people that have tricupsid atresia. 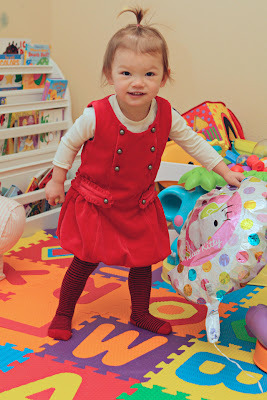 Most people don't have blogs and tricuspid atresia isn't common, so it is nice to see others like Kayla. 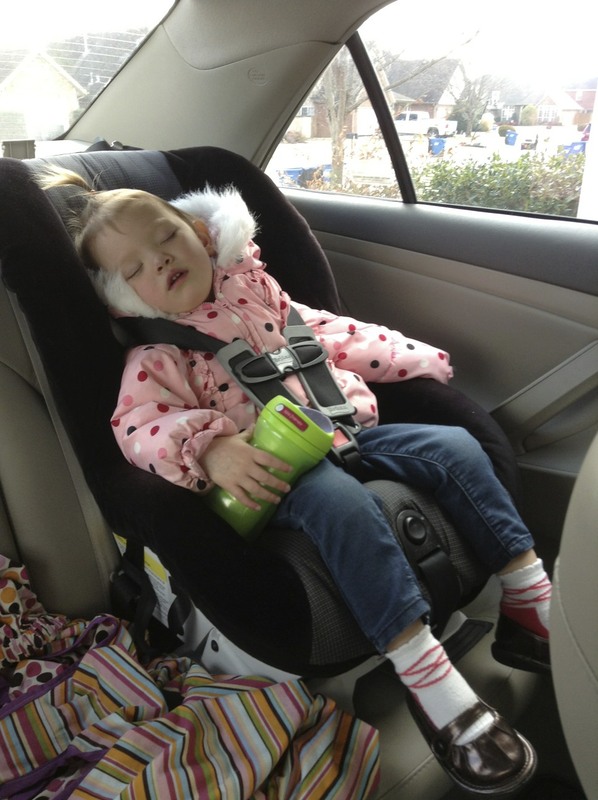 It gives me hope that Kayla has the ability to live a somewhat normal life when she gets older.